Under the plan administered by Attorney General Eric Holder and the Department of Justice, the Connecticut State Police are slated to collect $663,444, the Town of Newtown will take in $602,293, the Town of Monroe will receive $602,293 and more than two dozen other agencies from the surrounding area will get $296,836. The funds originate from the Bureau of Justice Assistance’s Edward Byrne Justice Assistance Grant Program. On December 20 Holder made an unannounced visit to Newtown to meet with State and local law enforcement and emergency responders shortly after a meeting in Washington with Vice President Joe Biden, presumably to discuss forthcoming attempts at gun control legislation. Because there are so many inconsistencies and missing information in the case where the findings have not been made public, the large payout appears especially suspect. 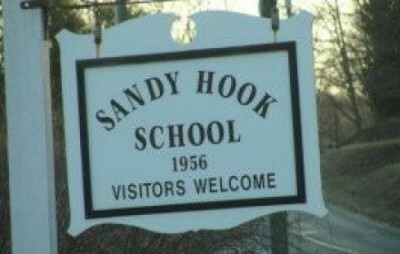 In August the Hartford Courant conducted an investigation of overtime pay being generated by Connecticut State police assigned to the Sandy Hook tragedy. Eight State Police detectives have received $139,000 in overtime pay for work on the investigation since January 1, 2013. Almost half has gone to two investigators claim to have put in over 500 hours of work beyond their scheduled duties. Such extensive federal funding will likely draw out the investigation for many more months— perhaps years—while keeping relevant law enforcement officials very pleased in the interim. Department of Justice, “Attorney General Eric Holder Announces $2.5 Million to Connecticut Law Enforcement For Costs Related to Sandy Hook School Shootings” (Press Release) PDF, August 28, 2013. Dave Ingram, “Project Longevity: Justice Department, Connecticut State Officials Target Gun Violence,” Reuters/Huffington Post, November 27, 2012. Frederic J. Frommer, “Holder to Meet with First Responders in Newtown,” Associated Press/Hartford Courant, December 20, 2012. Dave Altimari, “Overtime for Sandy Hook Investigators Nears $140,000 Since Jan. 1,” Hartford Courant, August 16, 2013.